I'm still in the mood for vintage jewelry! Here I am wearing the ELEMENTAL JEWELRY Vintage ~ Ava Necklace & Earrings in antique gold with turquoise stones and pearls. 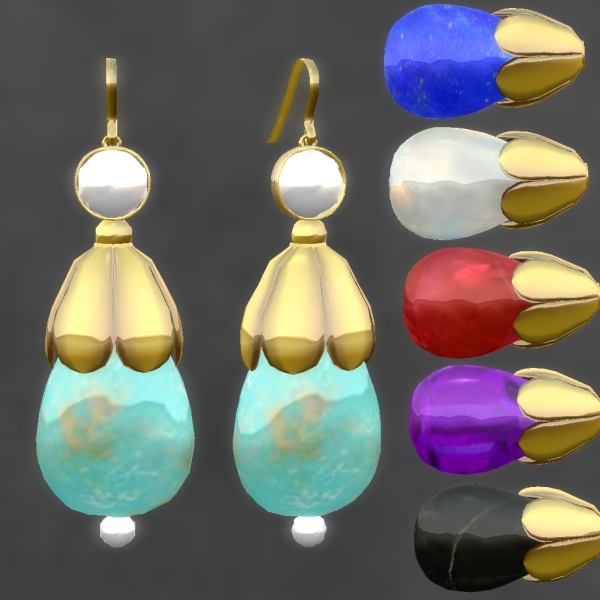 The stones change textures to give you a total of 6 choices--turquoise, black onyx, lapis lazuli, white moonstone, purple sapphire, and ruby. Skin: Essences Dharma for Vintage Fair 2011. Dress: Kastle Rock Couture Madeline--comes with matching shoes that just rock!